Ben Alagnam: GoAutoDial an Internet Based Telephony Solution: Proudly Pinoy! GoAutoDial an Internet Based Telephony Solution: Proudly Pinoy! In Singapore, I've been bombarded with calls from an unknown phone numbers, offering me some of their products. I have no idea on what they're offering because they speak on Mandarin. How unlucky they were that I'm a non-Mandarin speaker. But do you know that every call they make will cost their company a certain amount which they'll pay with the call service provider? Then what happens to the calls they made on me or to someone who does not answer "Unknown" numbers? It will just be another money wasted, right? As an OFW, I've been always proud to see and hear Filipino achievements, and this time, it will make my day. A Filipino company GoAutodial Inc., is a three-and-a-half year old Filipino I.T. company owned and managed by veterans of the Business Process Outsourcing (BPO), IT, retail and direct selling, telecom and media industries. The product that they developed is called VoiceBlast. It was specially designed and catered for business owners who needs to save cost from marketing on blanks (cold calls) or wasting a marketing call on someone that has a negative response, like me. Once a Mandarin speaking company or any organization, subscribed to VoiceBlast, wants to call prospected client for a marketing promo, a GoAutoDial’s cloud based automated dialer, aptly called JustGoCloud, calls a list of pre-listed telephone numbers that were uploaded into the web app. As one of the prospected client, like me, answers the call, what I can hear is a pre- recorded voice message that prompts me to press "1" or any number designated to a certain category. This will make me feel not obligated and may or may not press the button "1". Curiosity always pumps in to someone that is asked this way, so for me, I'll press the 1. Once I press "1", the system will connect me to the telemarketers or field sales people for them to close the sales. It is a 99% sure that who pressed the button is interested to learn more about the product and it's up to the sales people to do more talking and convincing. The pre-recorded voice can be configured in the campaign profile of the business owner in accordance to his preferences. The business owner job is to upload the pre-recorded voice message, upload the leads or telephone numbers to call, and click to begin the VoiceBlast. This can be operated anywhere as long as an internet is available. If someone doesn't press the button or simply hang up for he is not interested or just a non-Mandarin speaker, the VoiceBlast charges for an affordable price, and it is not charged by the full minute, but by six seconds. 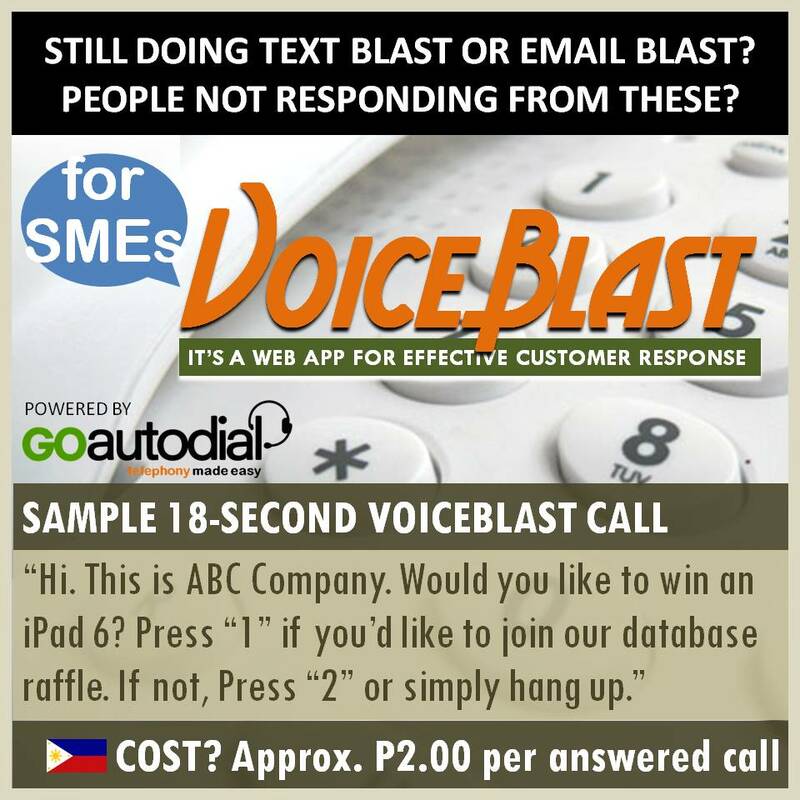 So an 18 second call will cost a business owner for only P2.00. What is it for OFWs? 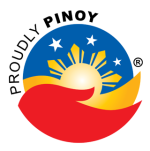 OFW's are always thinking of ways to build their own business to be in Philippines for good. When their business starts, an OFW owner needs to think of ways on how to let it grow and improve it. One of the ways to improve the business is through marketing. Since this is a Internet based system, the OFW owner can control the campaign in any country he may be. Thanks to this new business solution, Filipinos are undoubtedly Awesome! How to Invest in HSBC in Singapore?